Rare Bird Books, a Vireo Book, 9780988931244, 312pp. Brett Tanager is writer-producer of the hottest detective show on television. That is, until the mistakes of one dreadful night send her careening into a downward spiral of drink, drugs, and despair. Losing everything--close to rock bottom--she is approached by her ex's daughter whose best friend has gone missing. Brett's attempt to help plunges her into a dark, disturbing journey through moneyed Hollywood and its sinister underside, pitting her against the cunning of a ruthless killer--and a web of deceit in which the darkest secrets may be her own. Diana Gould has written pilots, movies, episodes, and miniseries for network and cable. She was writer-producer of Dynasty, executive story consultant on Knots Landing, and created and produced Berrengers. Her script for the TV-movie I Love You--Good-bye won the Population Institute Award, and she served on the Board of Directors of the Writers Guild of America. Her short story "The Monkey's Daughter" was nominated for the James Kirkwood Award at UCLA's Writing Program. She received an MFA in fiction from Bennington, has taught fiction, screen-, and playwriting in the MFA program at Goddard, and coaches writers privately. Additionally, she teaches at InsightLA, a mindfulness meditation center in Los Angeles, and works as a spiritual care volunteer with Vitas Hospice. 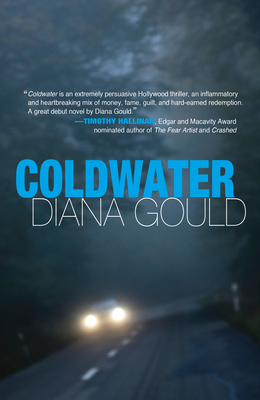 Coldwater is her first novel.